I’ve been a Google Classroom stan for years. I am still impressed by this relatively simple tool as it grows and evolves. This is especially true of the Google Classroom mobile app. January 2019 Update: Google has updated the look of Classroom to match its material design updates. That update has now reached the Classroom Android app. The updated Google Classroom Stream tab in the Android app on my Chromebook. The updated Google Classroom Classwork tab in the Android app on my Chromebook. Notice how the emojis in the topics pop? Use GetEmoji to copy-and-paste emojis into Google Classroom topics. Emojis make the Classwork tab more visually engaging. 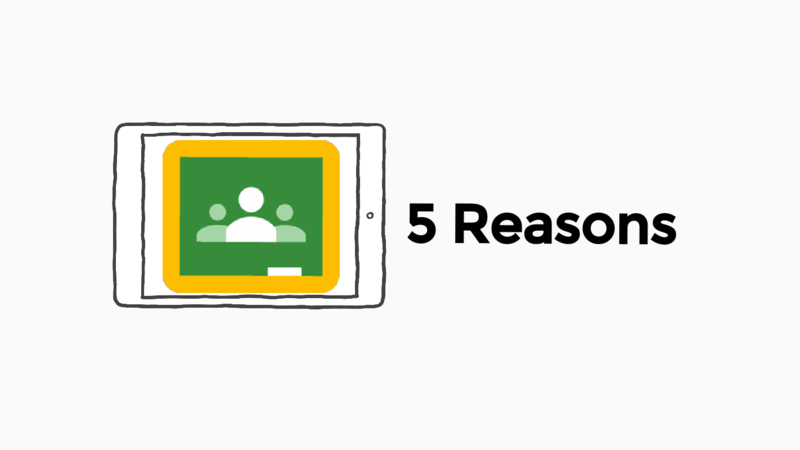 Now that we have addressed the updated look, here are 5 reasons to use the Google Classroom mobile app. ☑️ Reason 1: Give Students Video Directions. As the creator of a few digital breakouts, I can attest that the best place to hide anything is in printed instructions. Kids rarely read them! What better way to conquer this problem than with video! All teachers should post lesson videos on YouTube but assignment directions don’t belong there. Instead, create the video directions as you create an assignment in the Classroom mobile app! ☑️ Reason 2: Give Students Written Feedback. If a student works on a Google Drive file attached using “Make a copy for each student” or if they add a file to their assignment, teachers can annotate the file. What an easy way to give written feedback! The file becomes a PDF added to the assignment. Please note: At present (December 2018) the PDF saves to My Drive, not the assignment’s Google Drive folder. Please send Google feedback in the Google Classroom app. ☑️ Reason 3: Students Can Write on Assignments Too! The ability to write on files in assignments extends to students too. The PDF generated is simply added to the assignment. A great application for this is students using emojis as they mark up documents. A student adding an emoji to a document using the Chromebook onscreen keyboard. ☑️ Reason 4: Rearrange Assignments and Topics by Grabbing and Dragging. Please note: Topics can also be rearranged using this method. ☑️ Reason 5: Randomly Select a Student. What questions do you have about the Google Classroom mobile app? Comment below or tweet me @TomEMullaney. Thanks for reading.